The Air Force Armament Museum is the only museum in the world dedicated to the collection, preservation and exhibition of artifacts and memorabilia associated with Air Force Armament and its platforms of delivery. Experience the aviation warfare armament from the early days of World War I right through to today’s high tech planes and bombs. Inside, you’ll find an extensive collection of weaponry and mock cockpits that will amaze and intrigue. Outside displays include vintage military aircraft including the fastest plane ever built – the SR-71 Blackbird! Open Mon.-Sat. from 9:30 a.m. to 4:30 p.m. Closed Sundays and Federal holidays. Located on Hwy. 85 just outside of Eglin Air Force Base – 850.651.1808. 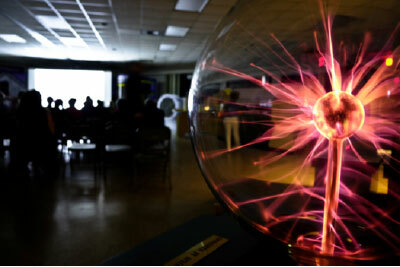 The Emerald Coast Science Center is a hands-on, interactive STEM Education Center and museum! With exhibits of all kinds we have fun for the whole family.